Ciné-Archives is in charge of the film archives of the French Communist Party and the labor movement. Our mission is to preserve and provide access to this moving image collection. The 3-DVD set La Vie est à nous, Le Temps des cerises et autres films du Front populaire is our first publication, which explains why we only submitted this one for Il Cinema Ritrovato DVD Awards, hoping we have other DVDs to present in years to come! In its early days, the Popular Front, a workers’ movement, set up film production and distribution facilities to deliver its ideas to the masses. 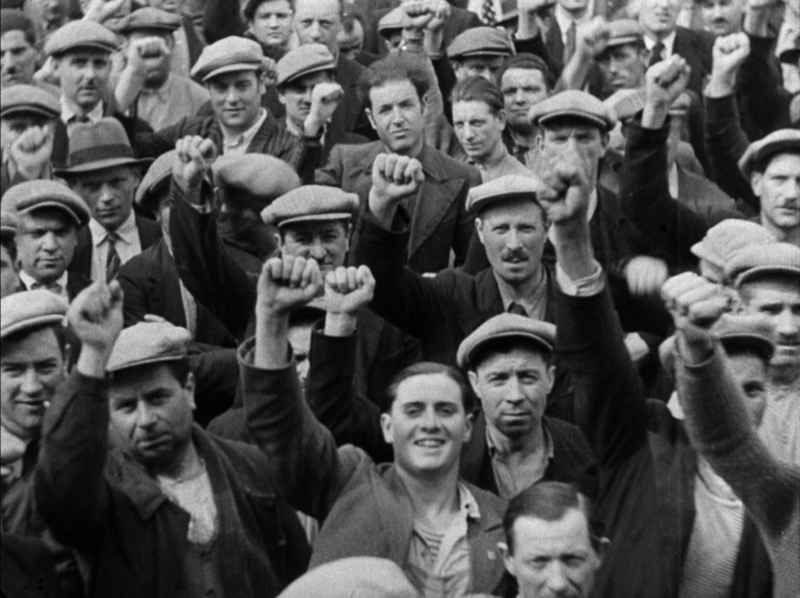 The French communist party (PCF) and the general workers’ confederation (CGT) relied heavily on the Ciné-Liberté cooperative to produce and privately screen militant films that were banned from public moviehouses. For the first time ever, this filmography is now available on DVD. The 16 films in this DVD collection demonstrate the diversity of the filmography of communist movements in the 1930s. 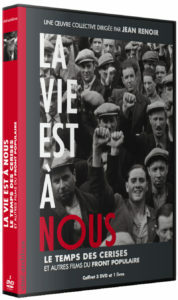 Fictional, documentary and news clips are featured as the B-side for La Vie est à nous (Life is Ours), a joint work directed by Jean Renoir for the 1936 legislative elections. Ever since the mid-1930s, the PCF and CGT have seized on cinema as the ultimate mass media. An influx of members in the spring of 1936 brought them additional funds, as well as a pool of film professionals. It was in this environment that Ciné-Liberté was created, a film production and distribution cooperative bucking the mainstream commercial circuit. It was soon joined by far-left film makers and a large number of technicians who were members of the PCF and CGT. The militant origin of these films is evident in the credits: anonymous and collective, they only refer to the militant entity that produced them. To accompany the DVDs, we asked scholars like Bernard Eisenschitz to write articles explaining how and why the Communist Party decided to engage in the film production back in the 1930s. We try to give equal importance to historical and cinematographic elements in our DVD, thus proposing DVDs for the film lovers but also for purposes of popular education. Festivals such as Il Cinema Ritrovato are a great opportunity for us to gain some visibility among film critics, and maybe to encourage new scholars to discover our film archive. It is very common to hear that the DVD is dead. Nevertheless, we have a slightly different impression, as long as we are talking of very specific films, and as long as it is not a standard average DVD, but a set including articles, photos, and video bonus. We were surprised and very glad to see how positively the audience reacted to this DVD, during the many screenings that we organized to promote it. In order to have a chance of survival, the publishers have to enhance their DVDs as much as possible, and be careful with everything : the content but also the “good looks” of the DVD.